I did it! I made my deadline of getting the vegetable garden in by the end of the Memorial Day holiday weekend. 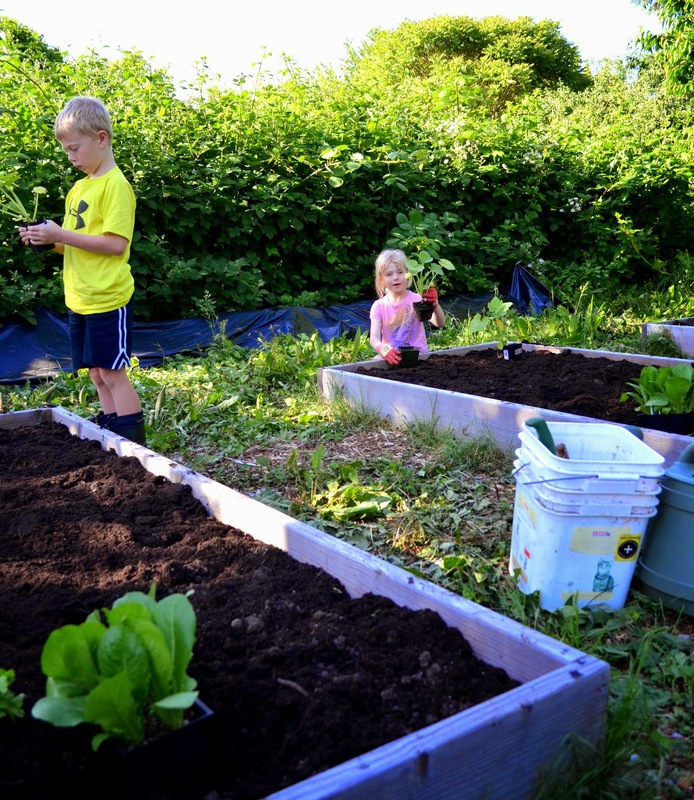 The kids have their very own garden boxes this year too! This is the very first year that my kids have both managed their own garden boxes. They weeded them out (with a little bit of mom help). We added compost and they selected the plants they wanted. I grew sugar pumpkins from seed for them...pearl onions and sunflowers too. They were dead set on growing water melons...so I got starts. I'm not sure if our summer will be hot enough for those but..hey..it's what they wanted! Carrots, celery...some marigolds and lettuce. They were so cute trying to plant their rows and we talked about how to space different types of veggies. We talked about how to keep the bad bugs out and bring the good bugs in. We talked about why we don't use chemicals in our vegetable gardens. So, it's been two weeks and it doesn't appear that I've managed to kill any of my veggie starts yet. I was delighted to find bunches of tomato starts in one of last year's boxes as I weeded the boxes clean. I transplanted them into another box because....why not? More heirloom tomatoes anyone? In other news....we are loaded with berries. We are strawberry and raspberry central. So..what will Jenni be doing this weekend? Picking and eating berries. Yes. I will enjoy every bite. 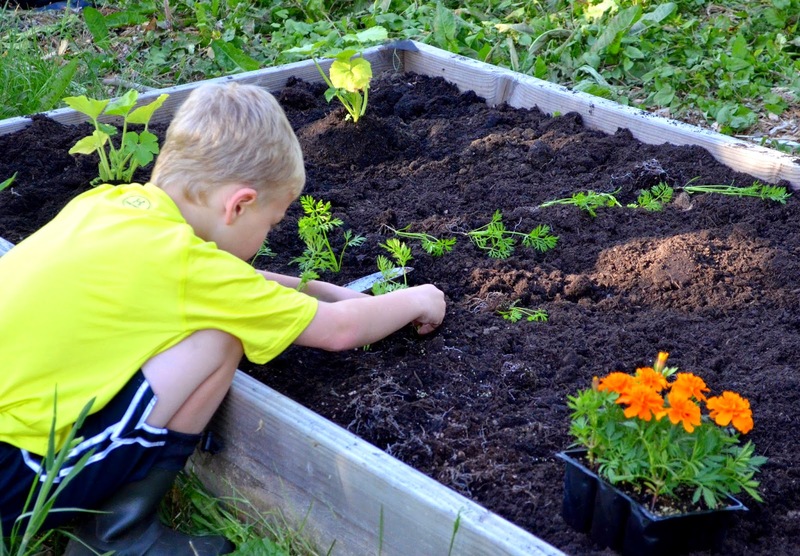 I just love this, your kids look so engaged in what they're doing, your a great garden mom! 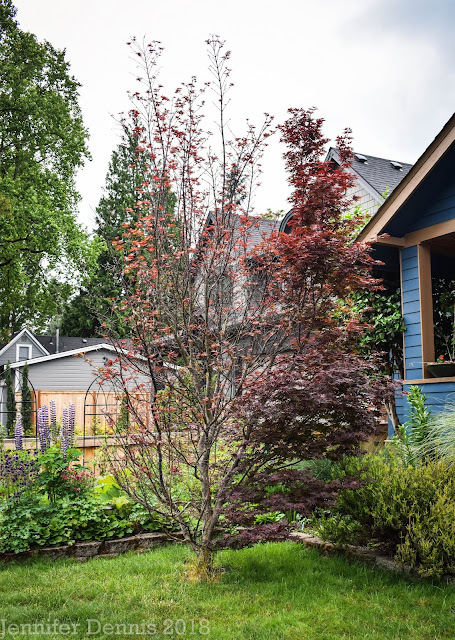 It is a feeling of accomplishment to get your gardens cleaned. 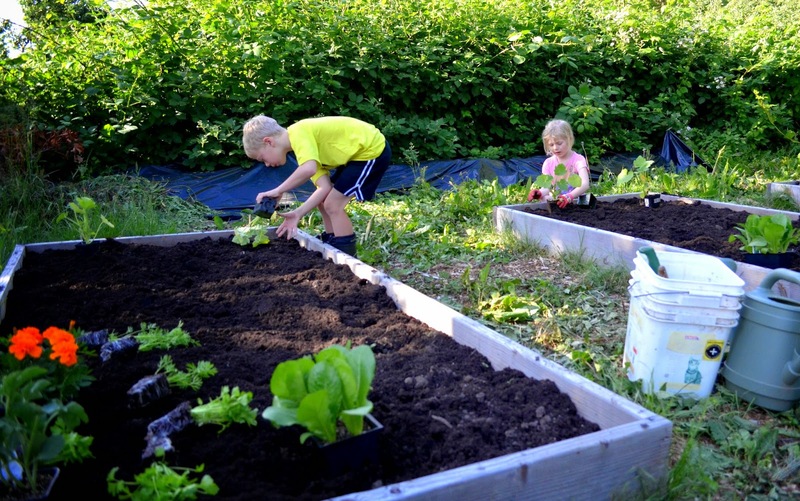 Glad your kids have caught the garden bug. I have my veggie beds planted, but need to get the flower beds cleaned. Jennifer, good for you for getting all that weeding done. You're a great Mom to get your kids so interested and involved. 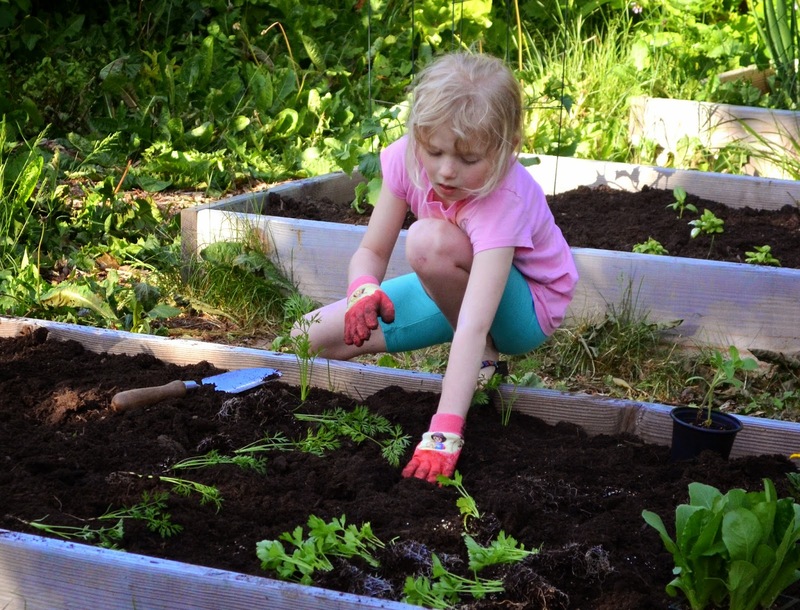 The next generation of gardeners is off to a good start! That's the way to go! Get them hooked early. You should consider getting the kids to grow potatoes. They are relatively quick-growing (12 weeks for First Earlies), low-maintenance, and such fun to dig up with youngsters on hand! My granddaughters love digging around in the dirt to find the potato tubers. Looking good with the planting. Its great you now have little helpers too. Hope their veg boxes do well and they have fun harvesting later on. 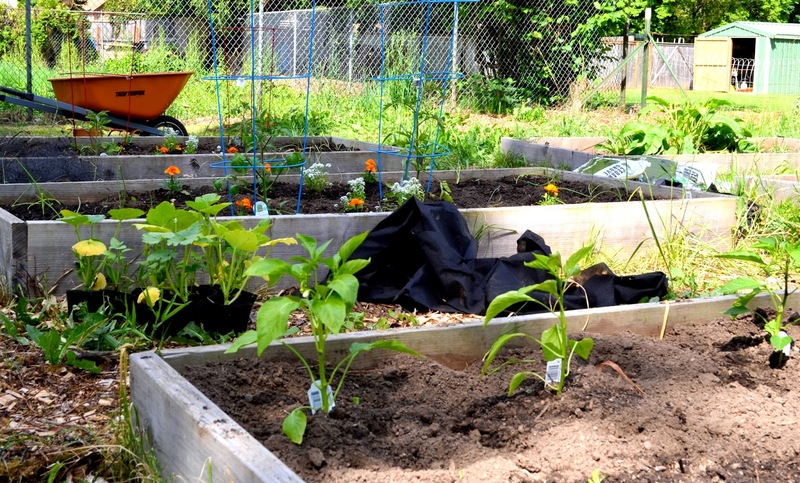 When they plant em, I bet they even like eating em: gold stars for Mom on two fronts.